 Over 50% of our nation’s K-12 students now come from low income households. Leader in Me encourages schools to provide all students with the same opportunities to become life-ready leaders. 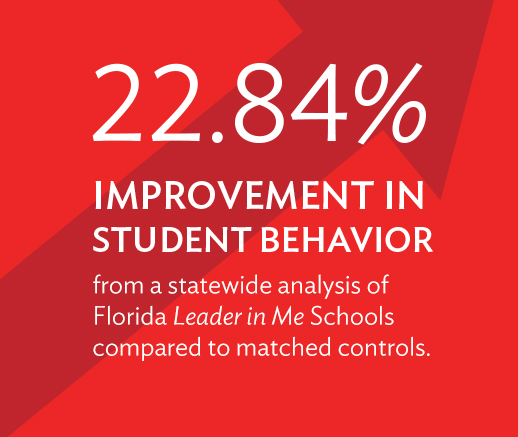 Leader in Me Schools create opportunities for everyone to succeed regardless of socioeconomic status (SES). 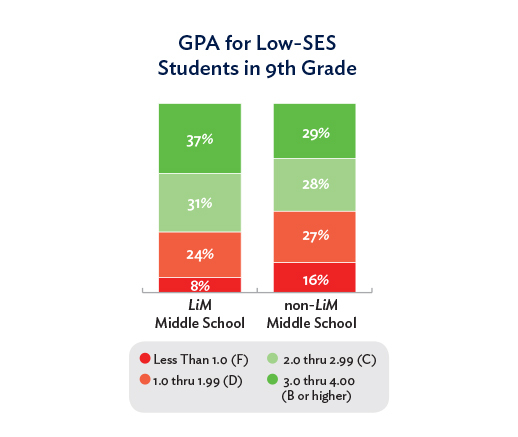 Below is a comparison of student outcomes that are a result of a high vs. low socioeconomic status (SES). 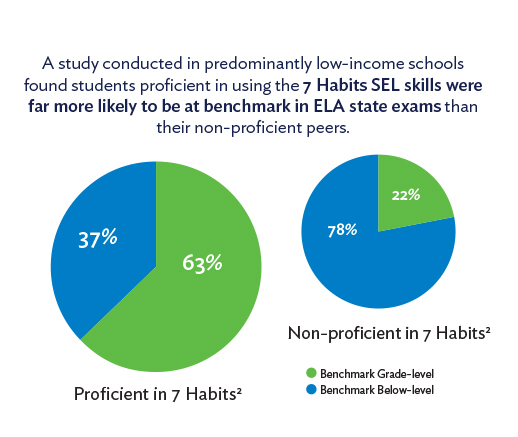 Social-emotional learning (SEL) skills like perseverance, self-control, and optimism are critical tools for improving outcomes for low-income students. Create a school culture that focuses on overcoming the limiting paradigms common among schools. 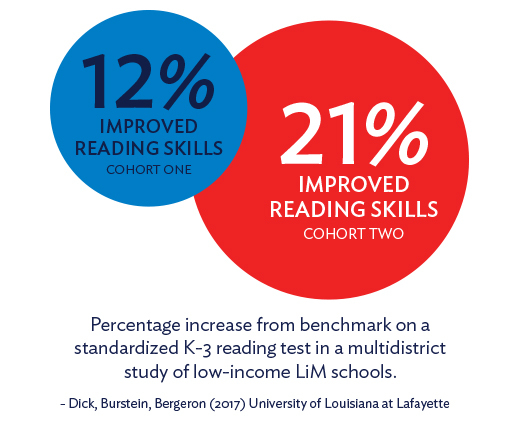 Leader in Me equips teachers with much more than academic tool kits. By building their social and emotional capacity, teachers can model and effectively develop the social-emotional learning (SEL) of their students. The key is addressing the paradigms that limit potential. Control student behaviors with punishments and rewards. 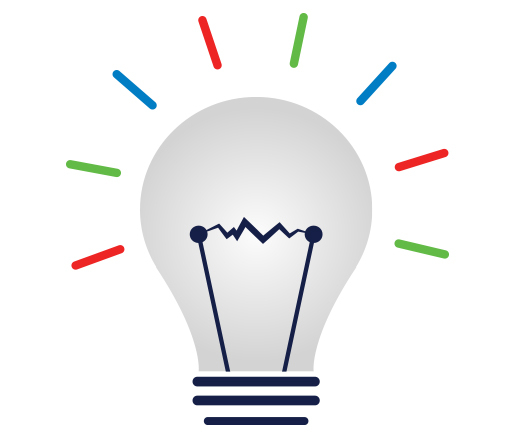 Empower long-term student success by tapping into students’ internal motivation and unique talents. 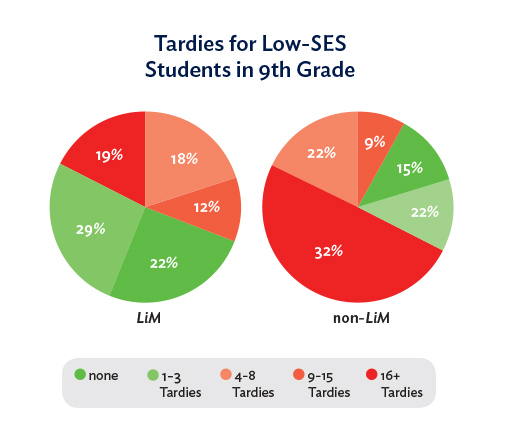 Reinforce limiting paradigms about low-SES students’ abilities and potential.  Foster an optimism for personal and academic growth through goal achievement and SEL skill development. Teach SEL in disjointed lessons by teachers who have been given little or no training. Invest in building the SEL capacity of all teachers and staff so they can model and empower student SEL development in a unified and supportive school culture. Focus SEL approach within the school. Provide SEL development to families and the community to reinforce student development and maximize opportunities for application of SEL skills. Leader in Me develops social-emotional learning (SEL) skills in both staff and students in order to establish a new culture of equity throughout the school. Teachers and staff develop their personal and professional SEL capacity through in-depth training and collaborative support. Training workshops establish new paradigms and behaviors that help staff model and communicate equity among students. Direct SEL Lessons from teachers. 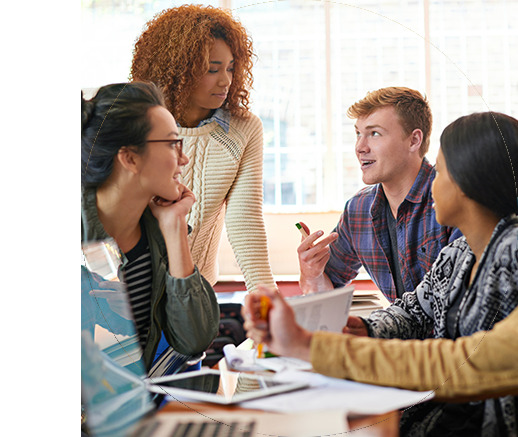 Collaborative, self-directed learning opportunities in the classroom. Student-led action teams that synergize together. Students apply SEL principles in classroom and schoolwide leadership opportunities. 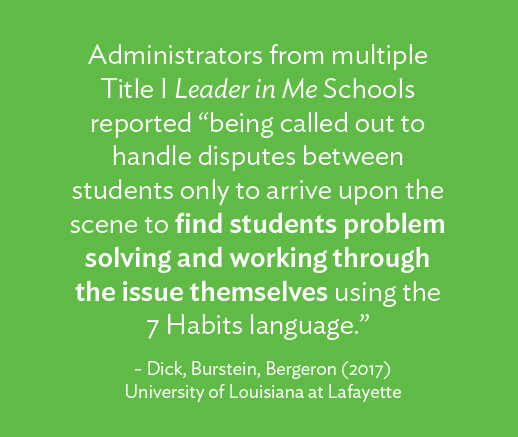 It is common at Leader in Me Schools to see students resolving conflicts without adults intervening. As the school engages in SEL behaviors, the school culture positively transforms to one that is safe, supportive, and engaging. Students help create a culture of equity that a visitor can see, hear, and feel throughout the school. Leader in Me encourages schools to help students recognize their great potential and vision for college, career, and life-readiness. 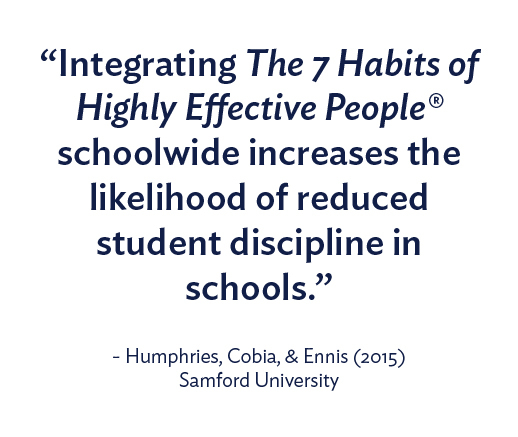 What additional research exists on the effectiveness of Leader in Me? 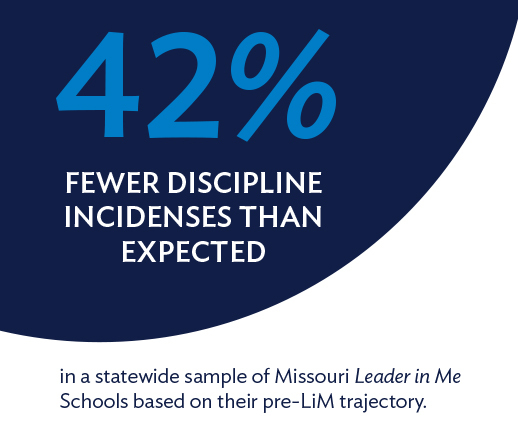 Leader in Me Schools address a variety of common challenges that educators face as they continue to improve equity and provide opportunities to all students.